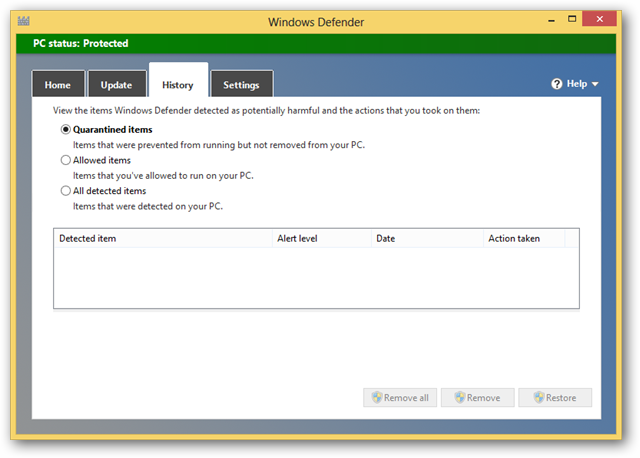 Windows Defender is a built-in tool in Windows 8 that helps look for viruses, spyware, malware and more. Similar to more traditional anti-virus titles, Windows Defender offers real-time protection for your computer upon starting it. Windows Defender works similar to other malware protection software and Microsoft has taken the time to improve it between Windows 7 and Windows 8. The brief tutorial will show you how to use Windows Defender so you can choose whether or not it will offer the level of protection you need in Windows 8. If you are looking to use Windows Defender for the first time, open your Charms Bar. Click the “Magnifying Glass” to open up search. 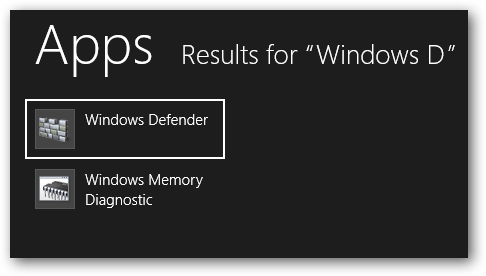 Now, type “Windows Defender” in the search box. Finally, click “Windows Defender” to open the program to begin using. 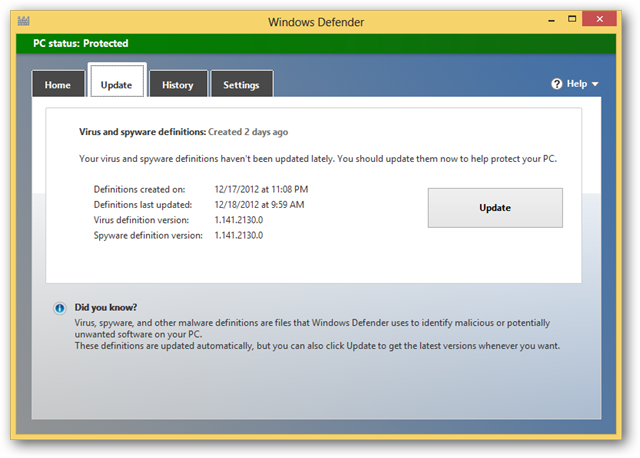 From the main screen of Windows Defender, click “Update” to get started. 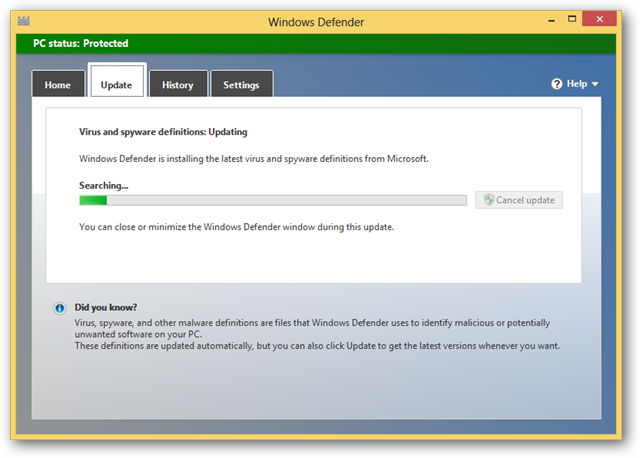 The Update screen will let you know when you last downloaded definitions, what version of virus definitions you are using and allow you the opportunity to manually update Windows Defender. It will take a few moments for Windows Defender to update itself. Let the process play out so you can ensure you have the latest definitions and virus files to protect your computer. This will allow you to go over quarantine, allowed items and detected items as well as check out any log files related to Windows Defender scans. This can give you a heads up on what you are dealing with if Defender finds something harming your system. You can click “View Details” to get even more information on the logs Windows Defender keeps. 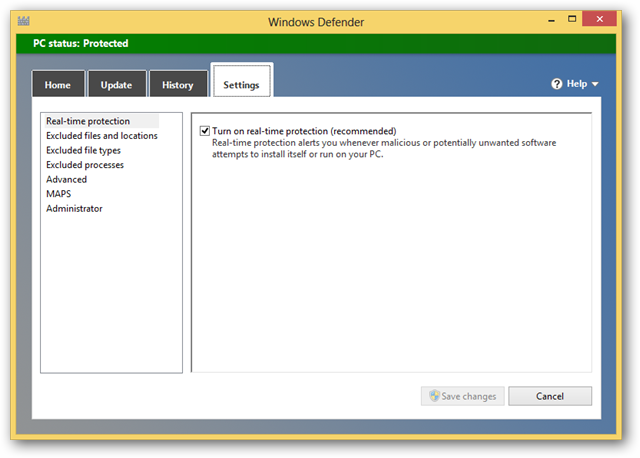 Windows 8 Defender settings allow you to fully customize how the program works to protect your PC. You can turn on and off real-time protection from the primary screen. This is the quickest way to get the most protection out of Defender. 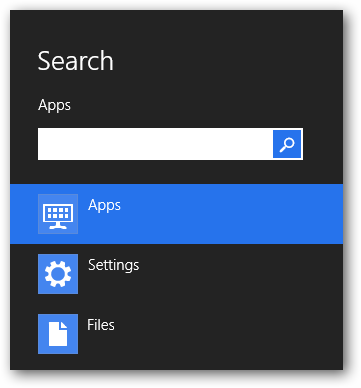 Within the Settings, click “Administrator” in the left-hand window pane. You can turn Windows Defender on and off from here. If you opt to use another anti-virus, malware or spyware real-time protection software title, it can cause conflicts with Windows Defender and vice versa. 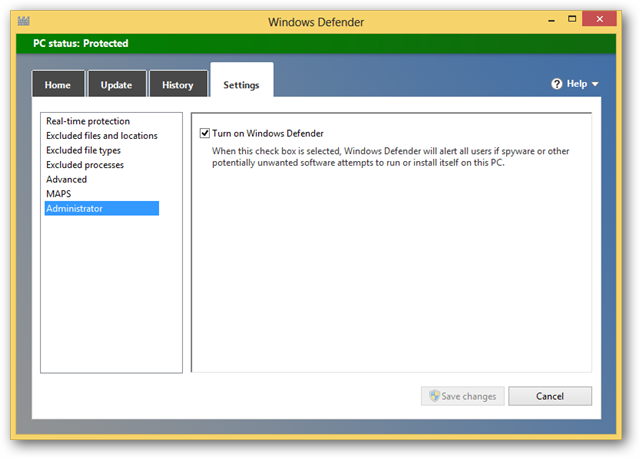 You can always turn Windows Defender back on by heading back to this settings area. MAPS stands for Microsoft Active Protection Service. 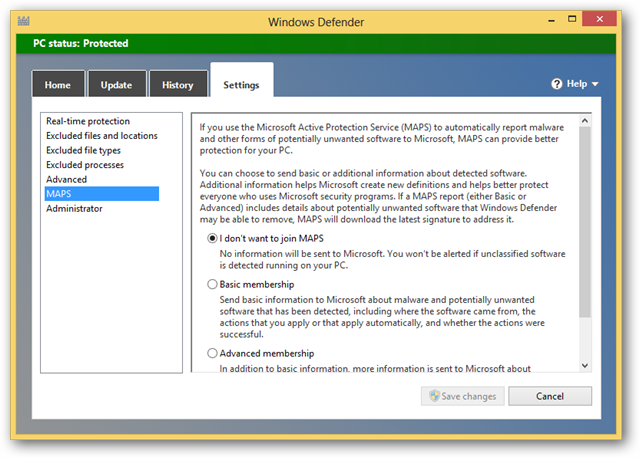 This allows Windows 8 Defender to report issues, threats, and scans to Microsoft for analysis and for developing ways to combat threats to your computer and others using Windows 8. You can opt in and out at any time and you can even choose the level of membership from this area. Then, click on “Advanced” in the settings area. While this is considered an advanced area, it really is a place every Windows Defender user should venture to at some point. You can choose more advanced options for scanning for threats, such as archives and removable devices. This area also allows you to force Windows Defender to create a system restore point before it quarantines a threat which can come in handy if something goes wrong. If you have more questions about Windows Defender, you can always click on the “Help” link in the top right-hand corner of the program. Now, if you head back to the main screen, you can choose what type of scan to perform. These options include Quick, Full and Custom. A quick scan searches the most reliable places threats are found on a computer, a full scan searches every possible area of a computer and a custom scan allows you to choose the terms of your scan. For this example, we will perform a Quick scan. Click “Scan now” to start your Windows Defender scan. 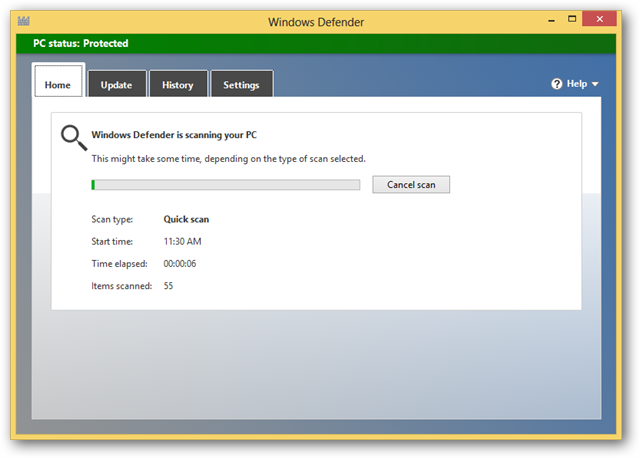 Windows Defender will scan the areas you chose and this can take a few minutes to quite longer. Just sit back, relax and let it run. When finished, it will let you know and give you a breakdown of what it found. If there are any threats, it will alert you to them as well as let you choose what to do with them. As you can see, Windows Defender works very similar to other virus and spyware programs. 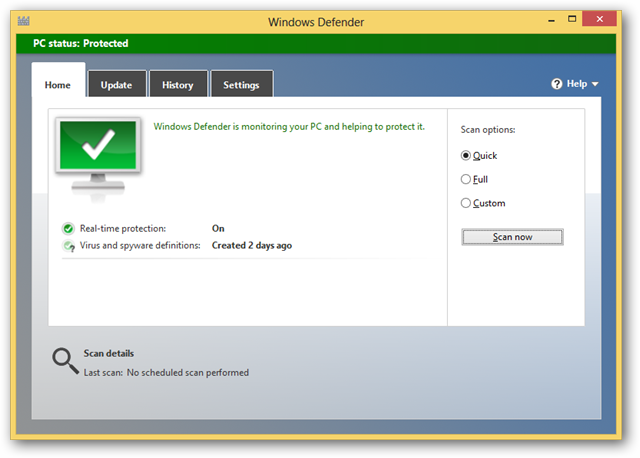 Windows Defender is built-in and ready for you to use from the get go on Windows 8. 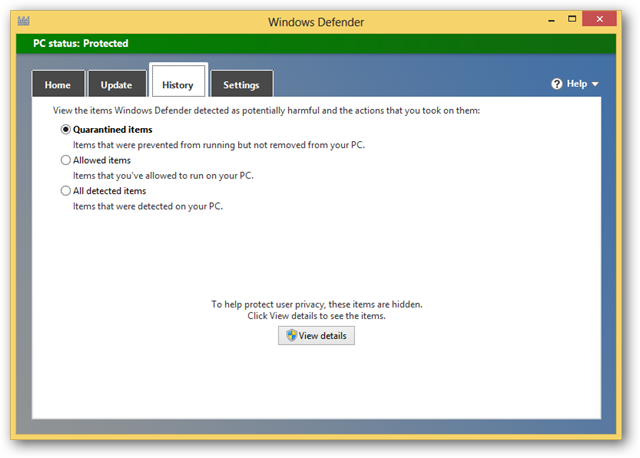 How effective is Windows 8 Defender for protecting your computer from threats? 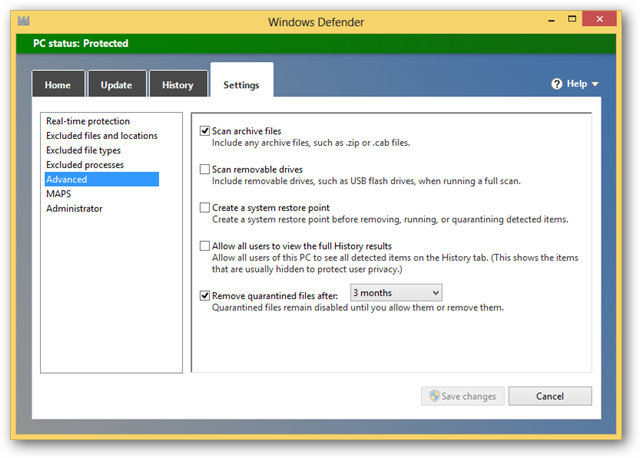 Windows Defender has gone through multiple changes, versions, and upgrades since Microsoft eventually introduced it. For most users, it offers enough protection at the barebones level to get by. However, for more advanced Windows users, they may find protection from other sources to be more reliable. If you are just starting to use Windows 8 and your anti-virus program of choice is not available for it, using Windows Defender in the meantime might be the easiest way to wait.